Not many toddlers can accurately predict what they’ll be when they grow up, but Don French, ’51 BS, ’53 DVM, never had any doubts. “I grew up in a rural area in southern Minnesota and got a pony when I was four years old,” he says. It instilled a lifelong appreciation for horses and the work that veterinarians do. So when Don was accepted into the University of Minnesota College of Veterinary Medicine (CVM), no one was surprised. He graduated in the College’s third class. Arlo Frost, ’87 DVM, finds that an enjoyable diversion from veterinary medicine is... more veterinary medicine. 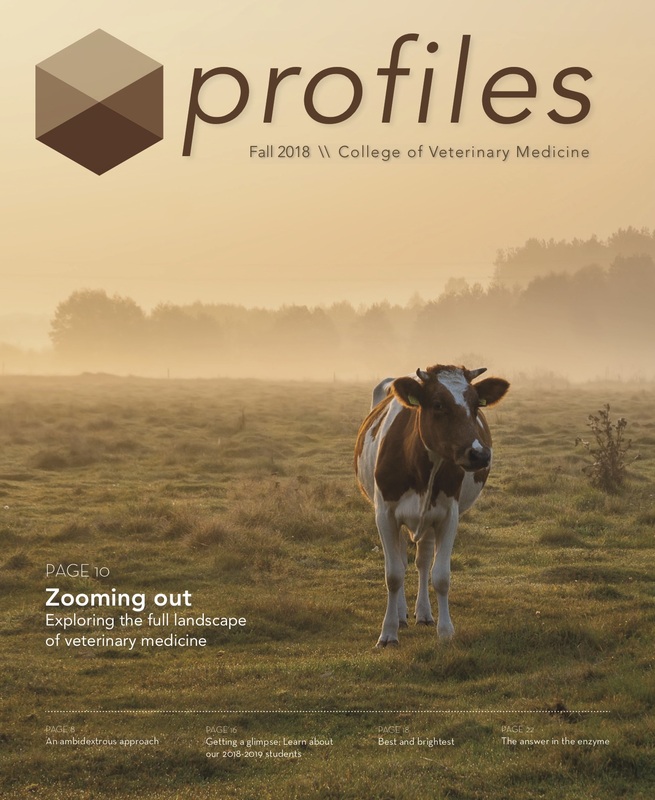 Frost volunteers with the Student Initiative for Reservation Veterinary Services (SIRVS), a University of Minnesota student-led volunteer organization that provides veterinary services to Minnesota Indian reservations. The College of Veterinary Medicine (CVM) had more donors than any other college at the University of Minnesota in the previous fiscal year. A total of 4,558 donors made 9,252 gifts in fiscal year 2018, which ended June 30. Both are College records. Only U of M Athletics, the Minnesota Landscape Arboretum, and the Masonic Cancer Center, University of Minnesota surpassed the CVM in number of donors. The College of Veterinary Medicine hosted a Staff Appreciation Day Luncheon and Recognition Ceremony on Thursday, July 19. Over 50 awards were given to our dedicated staff and faculty.